Purse has original label inside which says ‘designed by Lily-Bet, Filbert Imports of the Palm Beaches’. 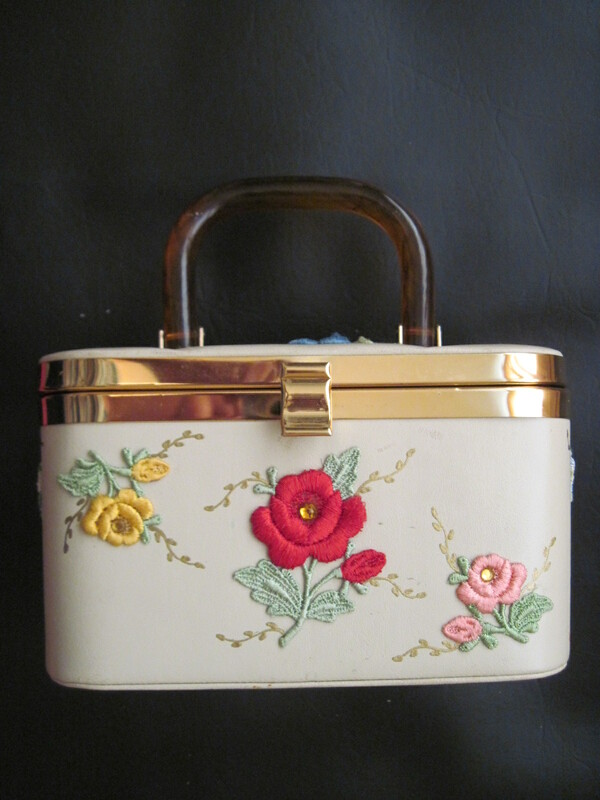 Probably from the mid 20th century as these styles of purses were quite fashionable at that time. The interior is nicely done in a paisley material and the lid has an oval mirror on the inside surrounded by gold coloured braid. The handle is made of amber coloured lucite and brass coloured fittings. 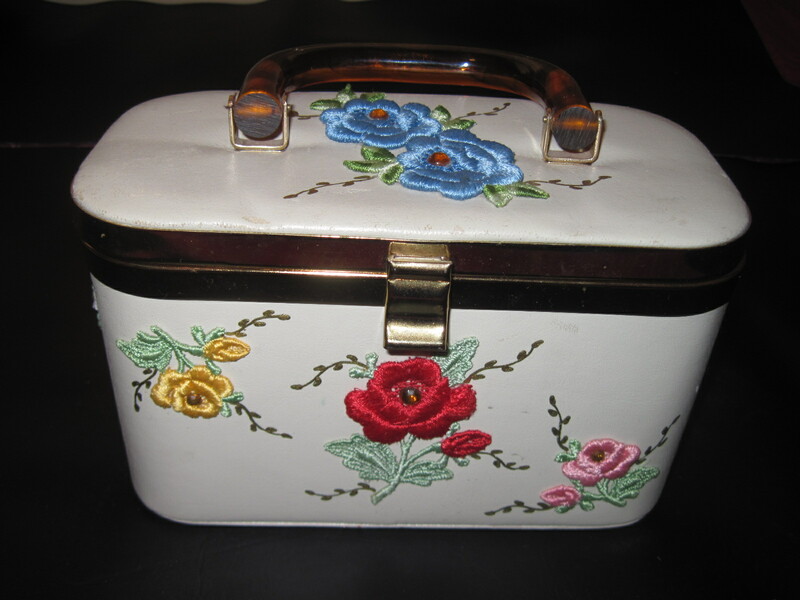 The exterior is covered in a light gray vinyl, decorated with embroidered roses and butterflies which appear to be glued to the surface and then touches of gold painted leaves surround the flowers. Overall the purse is in nice clean condition. The purse is about 8″ in length and 4″ in depth and almost 5″ high. Please note this item is no longer available. Thank you. I am in love! I was wondering if you sell it or you kept it there is no info on that? Sorry this item is no longer available. I believe it was already sold, thank you.